Real Madrid passed with A grade the exam of the week and they got the three points (1-3) in the city derby against Atlético de Madrid. It was a test week for Solari’s team and the team was able to draw at Camp Nou and win for the first time in the history at Wanda Metropolitano. Los Blancos are growing this season and now they are candidates in all the competitions. Santiago Solari trusted the same men who draw at Camp Nou, with Casemiro and Reguilón replacing Marcelo and Marcos Llorente. 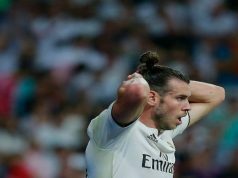 Gareth Bale, who was supposed to start, was again of the bench and only came in in the 55th minute, whereas Vinicius Junior started again and was perhaps the best player in the first half. Actually he was the protagonist of the first half. Atlético de Madrid pressured very high and their start was great. Real Madrid tried to defend and were very brave in every single ball. But Los Blancos hit before with the first goal, thanks to Casemiro after a free kick where Sergio Ramos was able to head the ball among 4 defenders. After the goal, Real Madrid started to control the game and it looked like the second goal was closer. However, Correa passed Griezmann, who beat Courtois in a counter-attack. The goal was reviewed by VAR, but the referee gave the goal. 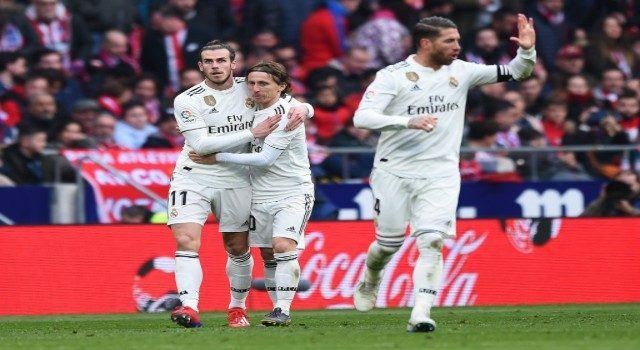 However, Solari’s men reacted and scored the second goal before the half time with a penalty kick converted by Sergio Ramos. Vinicius fell in the area, again being an important player in this team. In the second half, Los Blancos tried to control the game. And they did it correctly, except with Morata’s goal, but he was in off-side. Gareth Bale came in and the Welshman confirmed that he is a special player. Even if he didn’t participate in the game, he scored the third and definitive goal. With this distance in the scoreboard, Real Madrid didn’t suffer and were even closer to score the fourth goal. Even Atlético Madrid finished with ten players because Thomas was sent off. A very important victory to continue with this great run.